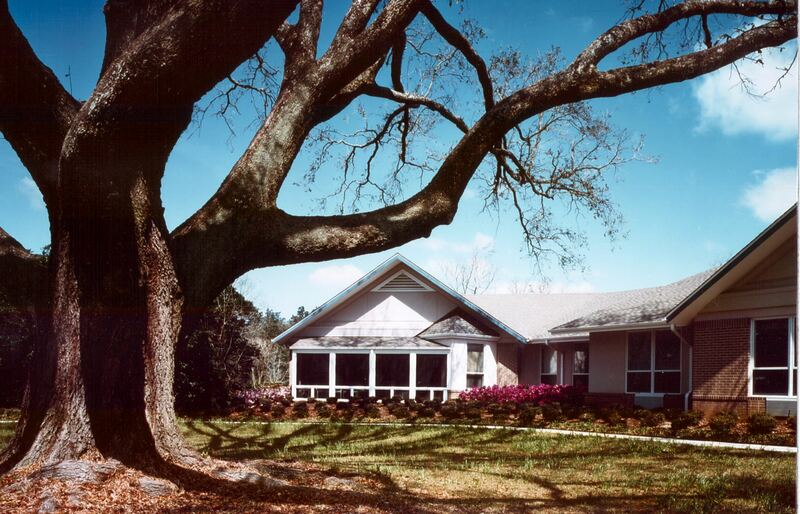 Live Oak Assisted Living Facility, Foley Alabama: A 60 Unit high end Assisted Living Facility designed as a flagship project for Community Health Systems, Inc. Project included numerous amenities to attract and support the active elderly. Room mix included 40% Studio and 60% One-Bedroom suites, with a great deal of variety within each room type. Project opened November 1995.